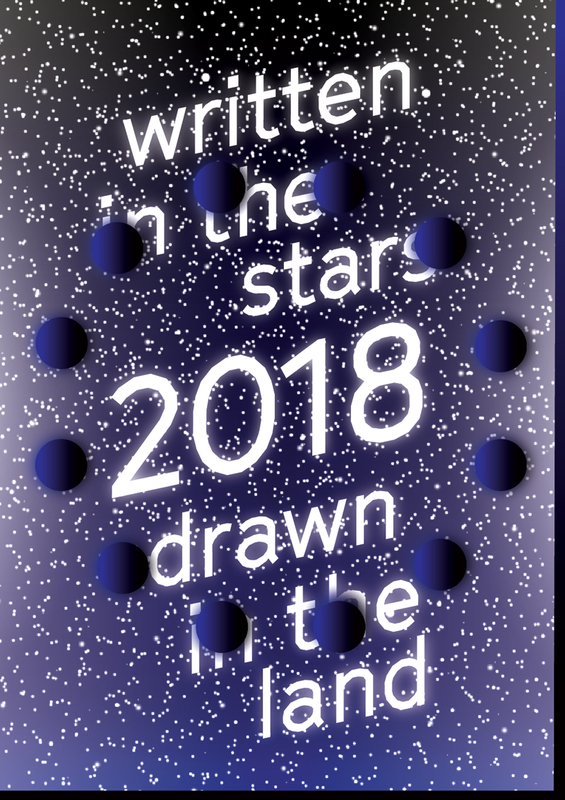 We created a 2018 calendar, for which we have selected a special place on earth for every sign of the Zodiac, chosen from gardens and landscapes that inspire us. These gardens range from celebrated masterpieces to obscure plots of land, from interior courtyards to grand monuments in the forests. 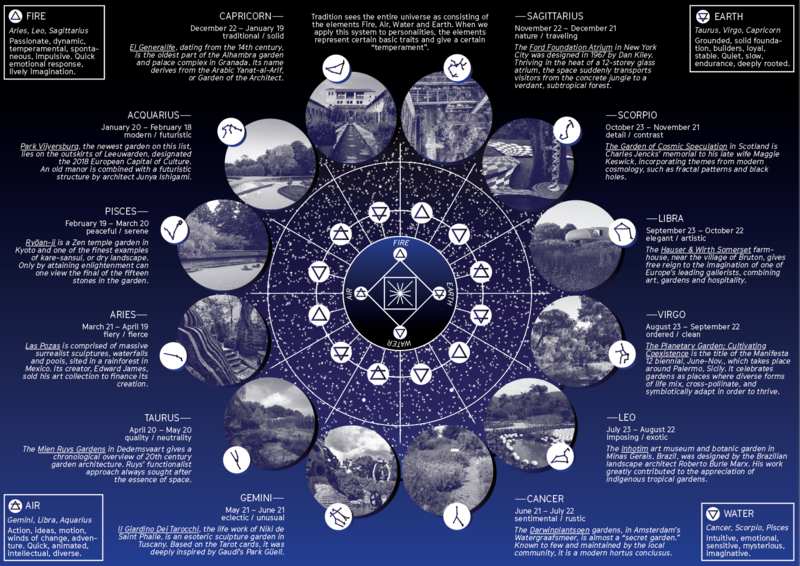 We were fascinated by how two astrologist sisters, the AstroTwins, gave each zodiac sign a meaning for the architectural domain. In this card, we extend this idea in our selection of twelve notable gardens. If you were to say that something is written in the stars, you would suggest that it is destined to be, by forces that control the future. But what are those forces? And to what extent do we have any influence over them? Gardens, parks and other natural and cultural landscapes testify to the delicate balance between human and natural activity. It is said that we have entered the age of the Anthropocene, an epoch of significant human impact on our planet. If this is the case, the stars seem to give no clues to our destiny, while our earthly ecosystem and the changes to our climate (un)fortunately do. It may be written in the stars, but it is drawn in the land. Noha wishes you a prosperous year, and a search for the signs of the time.